With Social Media Guardian you can focus on what’s most important: Your Business! Social Media Guardian setup services will have you connecting with customers in hours! 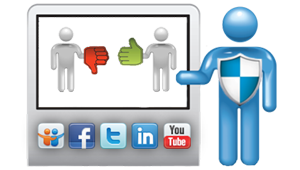 Social Media Guardian will multiply your social media followers and extend your marketing efforts! 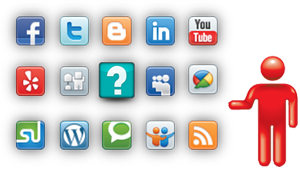 Social Media Guardian provides the intelligence necessary to protect your investment! social media posts on your behalf! The good news is that Social Media provides your small business or organization the ability to reach millions of potential customers and make your brand or service the next big thing. The bad news is that you now have to do something about it. At Social Media Guardian we use a blend of online software technology and (more importantly) human interaction by our team of Social Media Experts to help liberate you from the chains of Social Media Marketing. To learn more, watch our video presentation on Implementing an Effective Social Media Strategy! We’ll show you how we can help you Create social media accounts, Build your followers, Monitor your social media feeds and Engage with your customers! Creating Social Media accounts is easy, right? With some time investment you can create a blog, Facebook fan page, and Twitter account, and you’re off and running! But what about other Social Media channels like LinkedIn, YouTube, StumbleUpon, Foursquare, Google Buzz, Digg and others? Which ones are right for you and your business? Determining what they do and how your business could benefit from them takes even more time! 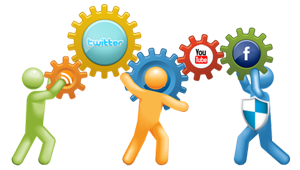 At Social Media Guardian, we’ll evaluate your business and industry and create the right accounts for you! Watch our presentation and find out how! 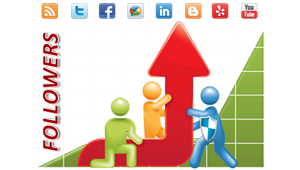 The reach of your Social Media Marketing efforts extend only as far as your followers. Therefore, the goal must be to build and increase your social media followers. So you post social media icon links on your website and embed them within your email signatures. Then you hope that customer will visit and then follow, like or subscribe to your channels. That’s a good start, but you’ll find that this initiative quickly plateaus, and the ability to increase followers becomes even more challenging. With Social Media Guardian you will stop being reactive and start a proactive approach that will continuously grow your social media followers. Get started today by watching our video presentation! What are customers saying about your business? What are they saying about your competitors? Your online reputation is the most valuable asset for your business. One negative review can affect hundreds of potential clients. 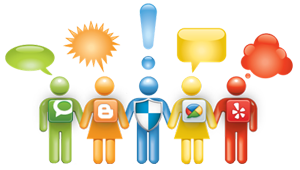 Social Media Guardian protects your online reputation by monitoring everything that is said about your organization and responding to any negative comments that might adversely impact your business. Through its bleeding edge sentiment engine, Social Media Guardian highlights risks and identifies opportunities while offering powerful insight on how your brand and products are perceived by consumers against your competitors. Learn how we do it by watching our presentation! Lack of engagement = abandonment. Abandoned customers will not return. When you monitor effectively, you at least have the opportunity to engage with your customers. But how long is too long to engage? One business day? Four hours? One hour? ASAP is the golden rule - the clock is ticking from the moment feedback is posted. Social Media Guardian will engage customers via social media posts on your behalf with pre-determined responses to ensure that your customers know you’re listening and that you value their business. Watch and learn how you can start engaging today!